Lapis lazuli heart pendant set in sterling silver. 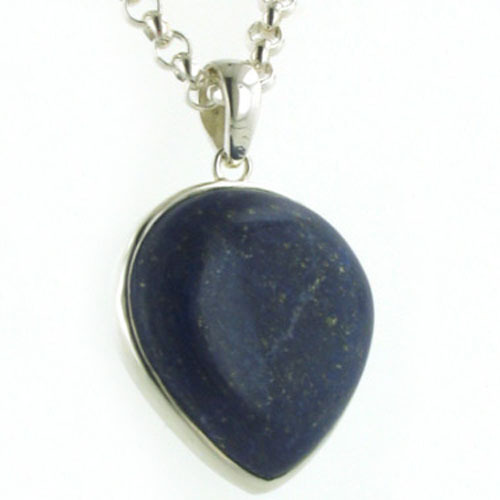 This lapis heart is polished on the surface and smooth to the touch. 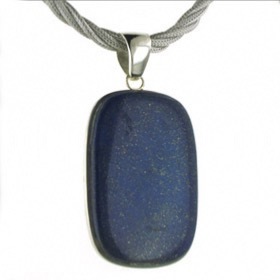 The lapis lazuli is a dark royal blue colour and displays the natural characteristics of the gemstone - a sprinkling of gold pyrite and a swirling trace of calcite. 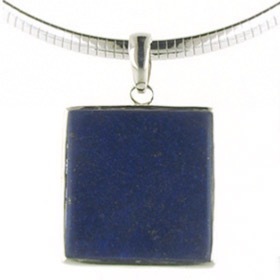 Lapis lazuli has been worn as jewellery for centuries so wearing this lapis lazuli pendant links you to ancient civilisations. 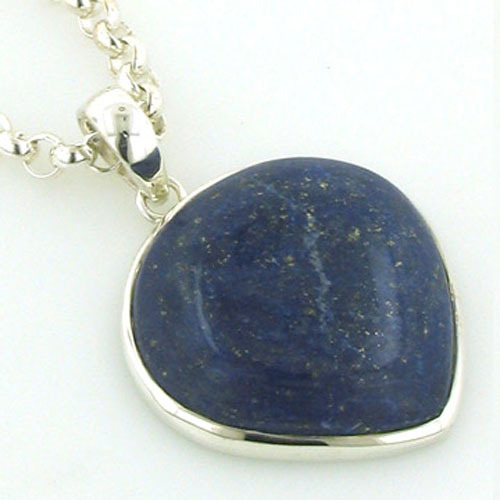 To find out more about lapis lazuli, see About Gemstones. 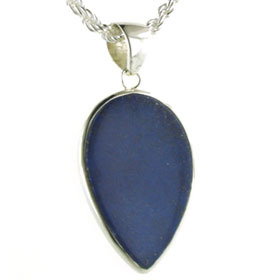 Set into a sleek sterling silver frame and finished with a smooth plain bale, this is a treasure to own and wear. 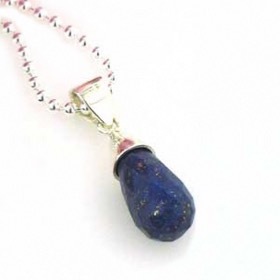 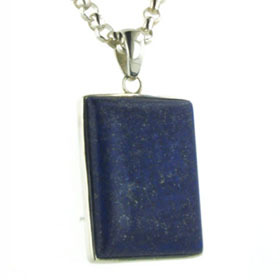 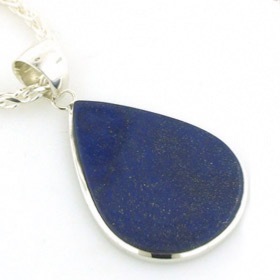 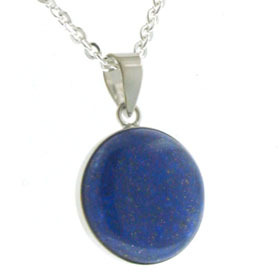 All our lapis lazuli pendants feature natural stones. 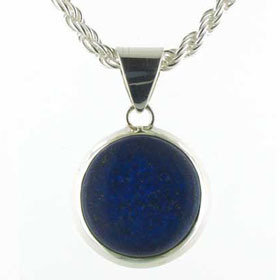 Find the ideal sterling silver chain in our Italian collection. 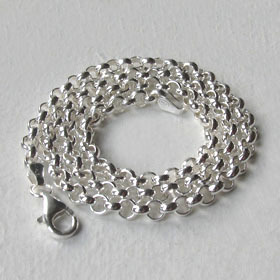 The chain shown is our 4mm silver belcher chain.